This famous layer upon layer of filo crust, chopped walnuts, butter, and honeyed syrup is best known of all Greek pastries. Kataifi filo with butter, chopped walnuts, cinnamon and cloves, topped with honey syrup. 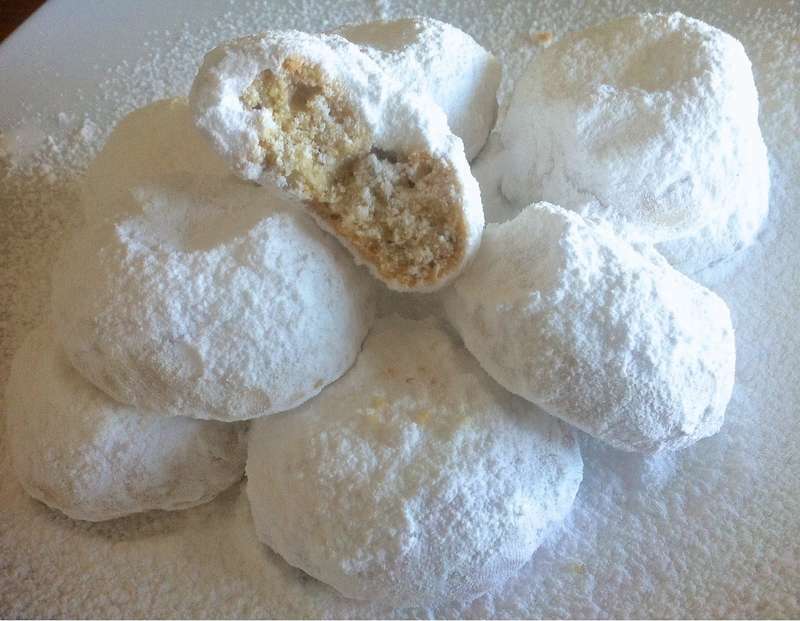 Powdered sugar shortbread-type cookies, with butter and egg yolk, flavored with brandy and dusted heavily with powdered sugar. Delicious butter and egg braided cookies. Not overly sweet and good with coffee. An orange-flavored cookie spiced with cinnamon. Dipped in honey and sprinkled with nuts. This braided sweet bread, made with eggs, milk, sugar, butter and imported Greek flavorings is a specialty in every Greek home during Christmas and Easter holidays. Warm dumplings covered with warm honey, cinnamon and brown sugar. A deliciously fresh and light pastry. A sweet dish made by cooking rice in milk and sugar. 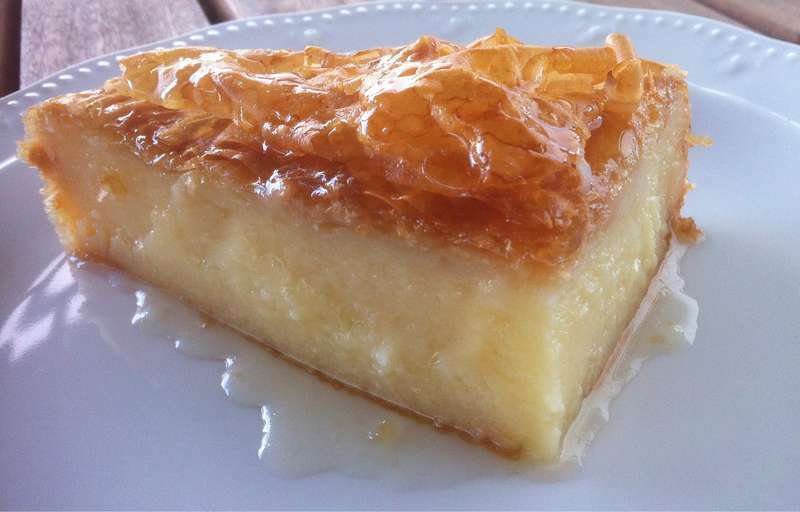 A semolina custard with filo layered on top and underneath with honeyed syrup. made of thin sheet-like dough, The dough is rolled into long, thin strips, fried and folded in hot oil and then dipped in honey syrup and rolled in sugar cinnamon chopped walnuts. 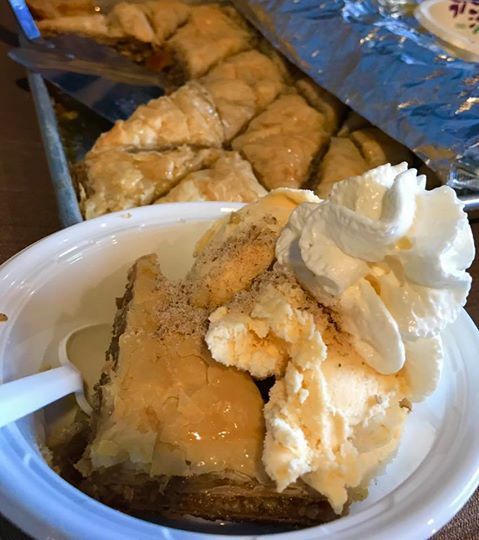 The famous layer upon layer of filo crust, chopped walnuts, butter, and honeyed syrup is best known of all Greek pastries topped with Icecream.